While tech companies are increasingly focused on making their products faster, cheaper, and easier to use, they’re also making them more addictive than ever before. That’s a problem for adults and children alike – but the latter are perhaps in more danger of feeling the ill effects of being hooked on technology. An open letter to Apple, penned by two investors who have a combined stake of $2 billion in the company, urges the Cupertino-based firm to expand its efforts in creating parental control functions for its mobile devices. Investment firm JANA Partners and The California State Teachers’ Retirement System cited a survey of about 2,300 teachers, which pointed to children facing increased distraction by digital technologies, as well as larger numbers of students facing emotional and social challenges since personal devices have become prevalent in classrooms. 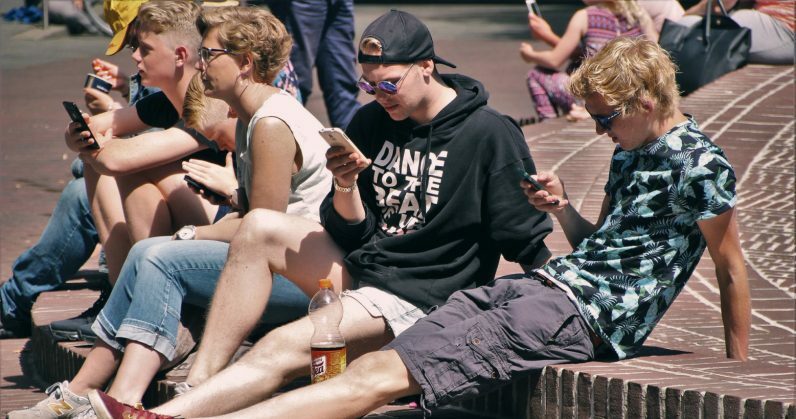 Those shareholders aren’t alone in growing concerned about kids overdosing on tech: France recently opted to ban the use of phones in schools starting this September. There are more stats and studies to pore over, of course, and there’s even one from Oxford researchers which says that it’s okay to grant your kids more screen time, because it doesn’t have an effect on their psychological well-being. But with children getting their hands on devices at an earlier age than in the past, and owning said devices while still as young as 10 years old, it’s important for parents and tech firms to think hard about the consequences of handing our kids addictive gadgets and software. Just as we demand that social networks and video platforms create safe environments for their audiences, we should expect similar standards for devices that we hand over to our children and allow them to use independently. Beyond simple parental control features and apps to monitor what they’re using, it’s important to build this sort of thinking into the culture among development teams. Right now, the opposite way of thinking is more prevalent because that’s how you keep your revenue stream alive. App makers are always looking for new ways to get you hooked on their products. One startup has even built a business around the science of it: Venice, California-based Dopamine Labs has recently scored funding to scale its business, which helps devs help identify ‘moments of joy’ in their apps and adapt the product so people stick around longer – creating larger time frames and opportunities to display ads and sponsored content. Regardless of your opinion on whether kids are better or worse off with increased exposure to personal devices, it’s hard to argue with the notion that addiction to gadgets could reduce their interest in physical activity, sports, and socializing with others in the real world. The majority of products they’re using today aren’t geared towards those kinds of interactions. The open letter to Apple notes that the company does include some parental control features, but they’re rather basic and therefore seem to take an all-or-nothing approach to restricting kids’ access. As such, the investors want Apple to set up an expert of committee of child development specialists, conduct research in this area, develop new tools for managing access, educating parents on what their options are, and publicly reporting the company’s findings each year (as it does with environmental issues in manufacturing its products). As it stands, there isn’t yet plenty of conclusive research to get the alarm bells ringing in Silicon Valley. But it’s becoming increasingly clear that there needs to be more more dialogue within the tech industry at large about such problems, so that we can work towards creating an ecosystem of products and services that help – and not harm – our children in the long run. Update (January 9, 2018): Apple said in a statement to Bloomberg that it will add more parental control functions, in response to the open letter from its investors.